These are a few of the pieces that I created for Natkaya. The banner and sidebar ads can be viewed on their website. Other works of mine are scattered throughout the site. 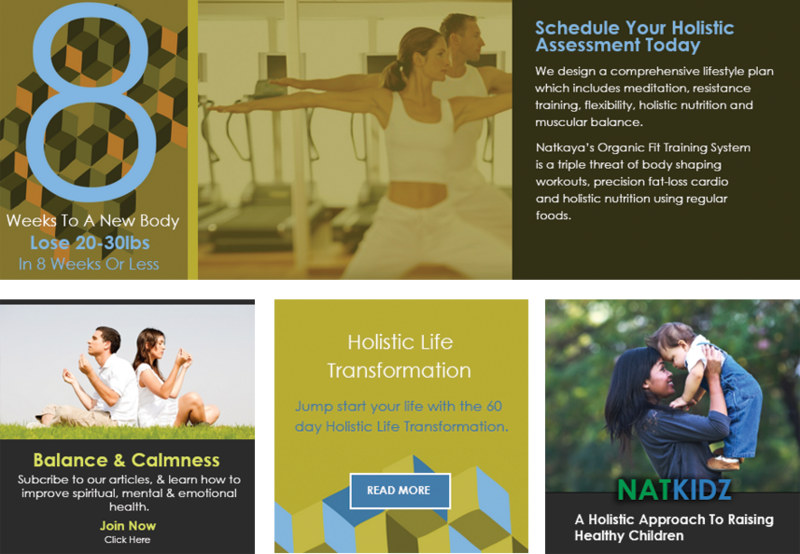 Click here to visit Natkaya.com.